My name is Andrei Blinkov. This is an English part of my blog. 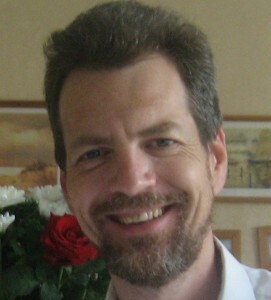 I am a pastor of the Holy Trinity Church in Moscow (Khimky). Our church is activlely involved into theministry to drug-addicts and alcoholics and ministry to the orphans. In 2007 I had a privilage to graduate from the Dmin program of Asbury Theological Seminary. Some abstacts from my dissertation you can read here. Currently I am teaching in MSEC and Good News Seminary in Moscow. I have one wife (Irina), a daughter Victoria, son Timofey (Timothy) and little Matvey (Mathew). We also took boy Vitya from an orphanage into our family. My personal testimony can be read here. Here you can see our view for the spiritual future of Russia and some of my thoughts on prayer. May the Lord be glorified! Do you believe that women are called by the Lord into full-time ministry? I am trying to keep sound and balanced approach. On one side we know that women are not allowed to speak in the church. At the same time a woman can prophesy: «But every woman that prayeth or prophesieth with her head uncovered dishonoureth her head: for that is even all one as if she were shaven» (1Co.11:5). So how to unite these two sides? I think that if a women is speaking in the church out of her own initiative, she is violating the Word, but if she is prophesying or speaking on behalf of the Holy Spirit and somebody would try to stop her – he would be closing the mouth of the Spirit. So, in a sense, women carry greater responsibility than men to minister in the church. But they can do it if the Holy Spirit gives His calling, word and anointing. And the Spirit does it in many cases, no doubt! I know that there was a woman apostle, but now I don’t remember her name. Sn Paul says this at the end of one epistle. According to the Law of Moses is like this, as you say, but in Christ there is neither male nor female, for we are all one in Him. Hi Andrew, I would love to get a copy of your book, in actual book form, how do I go about doing that? Do you mean my new book «Spirit soul and body. The way of Salvation»? It’s in Russian. Why do you need it in Russian?